Whalley Weir is on the River Calder at Whalley, near Clitheroe, in Ribble Valley, Lancashire. 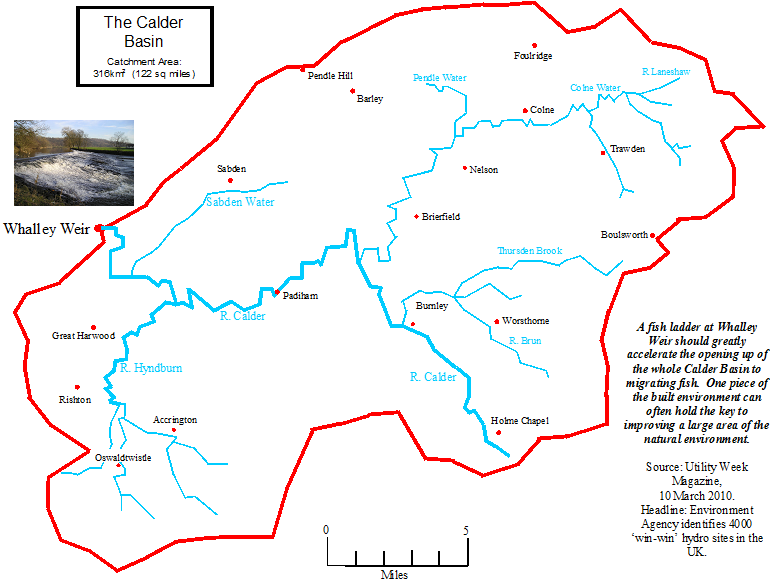 Walk along Calder Vale, off King Street in Whalley (125m) to the weir. The site of the hydro will be in the field on the other side of the weir which is private land. There is no public access along the track on the south side of the river past The Marjorie to Hole House Farm.